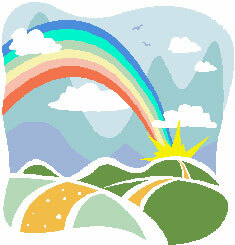 Download Pastel Landscape Cross Stitch Pattern zipped file (approx. 539kb — downloaded 194 times). The password for this download is “crossstitch4free” without the quotation marks. Please DISABLE your pop-up blocker in order to access this. Cross Stitch For Free is proud to offer our web site visitors with a variety of cross stitch patterns that we hope can fit the needs of beginner as well as experienced cross stitchers. All of our patterns are provided in the x-cross stitching style to make them as easy reference to everyone. Not only that, but the color codes in all our cross stitch patterns use DMC color charts, which is a widely popular choice among cross stitch enthusiasts. We are looking for ideas to add up our free cross stich patterns, therefore if you have any idea for a new and fun cross stitch project that you would like to see in this web site, please feel free to use our Contact Form and let us know about it. We thank you for your support and feedback to make Cross Stitch For Free the best place to get your free cross stitch patterns.